So does your other half do this for you?? Call’s you when your food is ready? Put’s the food in front of you? Waits until you have finished before he starts eating? Sound’s perfect doesn’t it? You are now probably thinking isn’t she lucky if her husband does that. I am actually talking about a cockerel. Yes you read that right!! 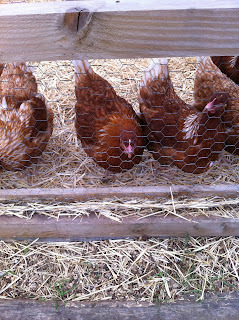 I was discussing keeping chickens with a work colleague and she mentioned how caring her cockerel is towards the hens. When she throws the food for them he calls all the hens, picks up the food with his beak and throws it in front of them and then watches over them while they eat. He then waits until they have finished before he eats! That's funny and would love to see this gallantry in Human lifestyle. But I am not to feel sorry for as my husband already does the 1st two steps for me when I am back home later than him – can't ask for everything!! !